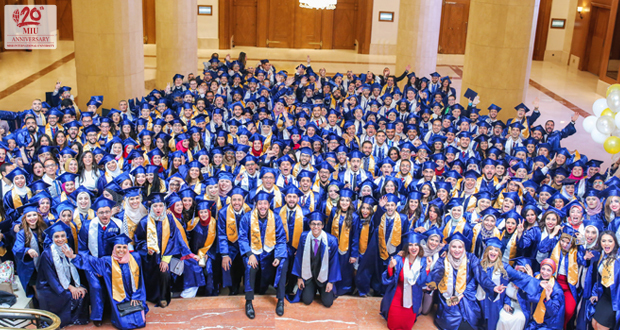 Misr International University celebrated its 18th graduation ceremonies on October 15, 16, 17 and 18 in Intercontinental Cairo City Stars Hotel and hosted around 8,000 attendees in the four ceremonies. MIU proudly announces graduating a total of 1,462 students from different faculties ready to enter the Egyptian workforce. On the 15th of October the ceremony was for the faculty of Pharmacy. The second day of the ceremony was dedicated for the joint commencement of the Faculty of Oral and Dental Medicine and the Faculty of Engineering Sciences and Arts (Department of Electronics & Communication Engineering). The third day of the event was for the faculty of Engineering Science & Arts, Department of Architecture, and the Faculty of Al-Alsun and Mass Communication. 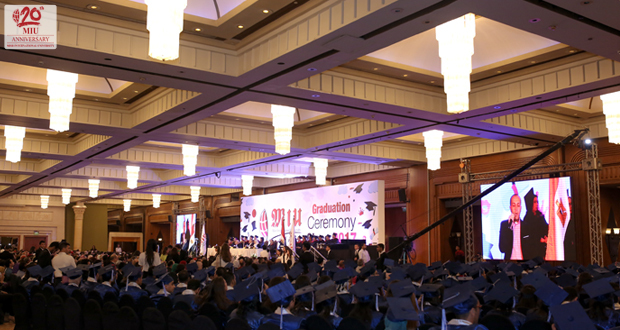 The fourth and final day of the graduation ceremony was dedicated for the Faculty of Business Administration and International Trade and the Faculty of Engineering Sciences and Arts, Department of Electronics & Communication Engineering. The ceremony was under the auspices of the President of the Board of Trusties Mohamed El-Rashidy, University President Mohamed Shebl El-Komy, Consultant of the Ministry of Higher Education Hala Fahmy as well as the deans and professors of every faculty. 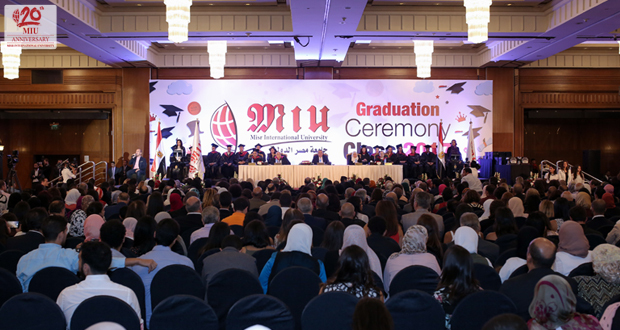 MIU is also happy to celebrate its postgraduate studies graduates which include graduates from the Faculty of Dentistry and the Faculty of Engineering Sciences & Arts, Department of Electronics & Communication Engineering.